As a certified HealthyStart provider, I now am offering a life changing service for children that will benefit them in multiple ways during treatment. There has been an increased concern with parents about their children’s sleeping habits and now I am found a promising solution. I will like to introduce HealthyStart to our patients, it is covered procedure by dental insurance under orthodontic care. The earlier we start treatment in the child’s life, a more predictable outcome can be achieved and carried into adulthood. No product is as easy or comfortable to use. Our proprietary advanced orthodontic / orthopedic HealthyStart™ appliance is BPA, Silicone and Latex Free, ISO 13485, FDA Cleared, a Health Canada Class II Medical-Grade Device that rests comfortably in the mouth. The HealthyStart™ Treatment System is safe, effective and naturally promotes growth and development. Treatment with HealthyStart™ is a non-surgical, non-pharmaceutical, pain free and non-invasive therapy when worn at night or as directed, to assist parents who struggle with children affected by Sleep Disordered Breathing, a restricted airway and crowded or crooked teeth. 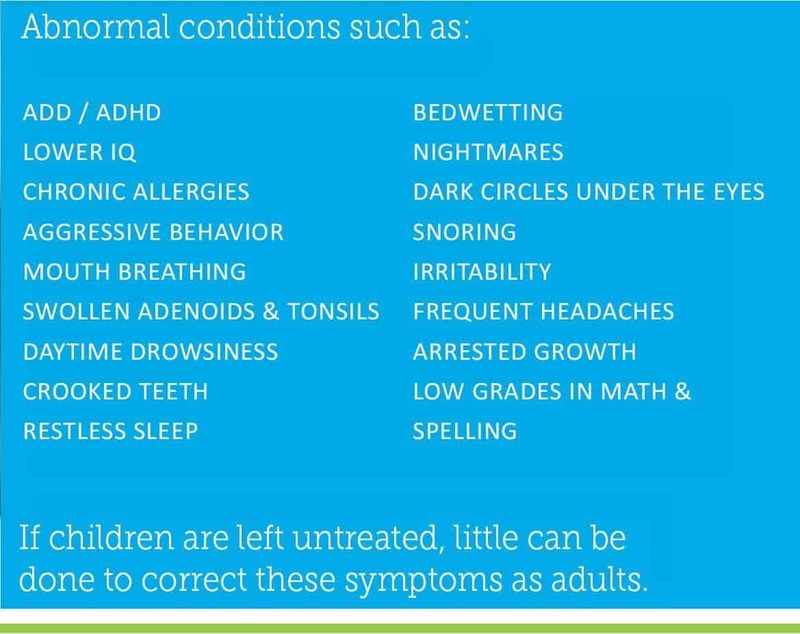 More than a label, 20 years of research ties Sleep Disordered Breathing to crooked and crowded teeth, arrested growth and development, behavioral challenges which can have a similar appearance to ADD/ADHD and even Bed-Wetting. HealthyStart™ is more than a Band Aid; it is a permanent solution if it is started early enough in a child’s growth. Dr. Bergersen, the orthodontist that invented the FDA cleared Appliances, holds over 500 US and International Patents on his devises. HealthyStart™ addresses the root cause of Sleep Disordered Breathing. The appliances work to expand and develop the airway in children. Compromised or constricted airways have been linked to SDB. Our product performs passively, proactively and with permanent results when started early with patient compliance. There is no known treatment to have such a dramatic impact on a child’s life. Many children in treatment with HealthyStart™ have dramatically decreased prescription drug doses or come off their prescriptions completely, under the supervision of their physician. Others can finally sleep through the night without wetting the bed. And parents report their children frequently have better focus in school, which has led to better grades and improved opportunities for success in life. Each appliance performs multiple simultaneous functions and is primarily worn at night, while the child is sleeping, so as they are getting better rest they are also correcting lifelong habits for permanent improved overall health.